WESTMONT, IL—The Evangelical Christian Publishers Association (ECPA) selected three InterVarsity Press titles as finalists for its 2019 Christian Book Award® program. The books include Last Call for Liberty by Os Guinness, Becoming Dallas Willard by Gary Moon and Window on the World by Molly Wall and Jason Mandryk. ECPA named sixty-four finalists in twelve categories. The titles represent the industry’s best books and Bibles of the year in Christian Living, Faith & Culture, Biography & Memoir, Devotion & Gift, Young People’s Literature, Children, Ministry Resources, Bible Reference Works, Bible Study, Bibles, New Author—and the new category of Audio. The IVP finalist in the Biography/Memoir category is Becoming Dallas Willard: The Formation of a Philosopher, Teacher, and Christ Follower. Also selected as a finalist in the biography category of the 2018 Foreword INDIES Book of the Year Awards, this book tells the story of a man who became a personal mentor and inspiration to hundreds of pastors, philosophers, and average churchgoers. His presence and ideas rippled through the lives of many prominent leaders and authors, such as John Ortberg, Richard Foster, James Bryan Smith, Paula Huston, and J. P. Moreland. As a result of these relationships and the books he wrote, he fundamentally altered the way tens of thousands of Christians have understood and experienced the spiritual life. “Gary Moon has written an engaging biography of this philosopher, university professor, and religious thinker who, though an ordinary man of the people, had an extraordinary impact,” said Brendan Sweetman, department of philosophy, Rockhurst University. Window on the World: An Operation World Prayer Resource was chosen as a finalist in the Children’s category. This revised edition includes new entries for more countries and people groups, with updated information and prayer points from the team at Operation World. Window on the World brings alive the culture, history, and traditions of all sorts of different people. With “Fact Files” and “Do You Know?” features, each section brings information, true stories, maps, and easy-to-use prayer points that take you into homes around the world. It teaches how children live, what they like to do, where they go to school, what they eat and wear, and what they hope and dream. 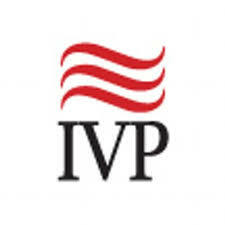 For a complete list of IVP award winners visit ivpress.com. Founded in 1947 as an extension of InterVarsity Christian Fellowship/USA, InterVarsity Press serves those in the university, the church, and the world by publishing thoughtful Christian books that equip and encourage people to follow Jesus as Savior and Lord in all of life. For more information, visit ivpress.com.